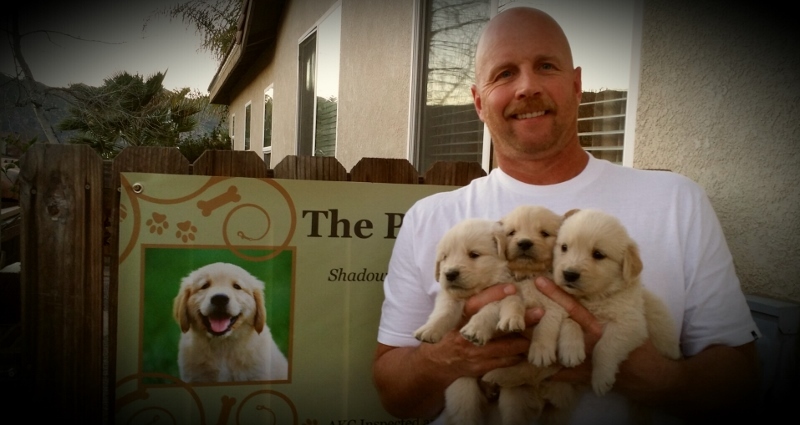 Welcome to Shadow Mountain Goldens! The Werner family and a few furry friends! 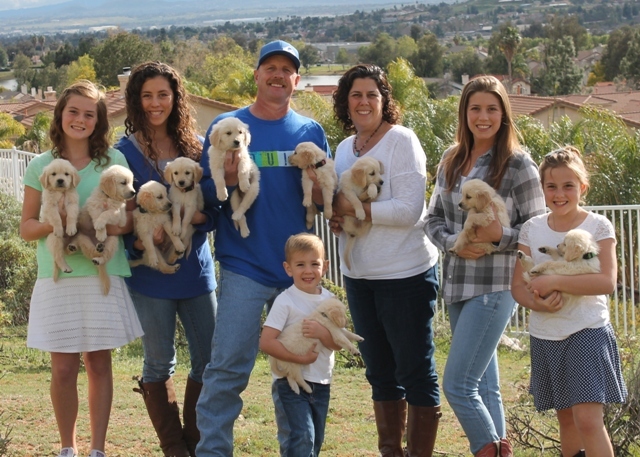 We are a family owned and operated small hobby breeder located on one acre in the Southern California town of Moreno Valley. Our dogs are in excellent health and routinely examined by our veterinarian. They have wonderful temperaments, intelligence, and gorgeous good looks! All of our dogs are AKC registered and we strive to meet the breed standards as defined by the American Kennel Club. All of our breeding stock have their health clearances. Their hips and elbows are certified by the OFA (Orthopedic Foundation for Animals). We have a business licence, sellers permit, and home occupation permit from the City of Moreno Valley. Our facilities have been inspected and approved by the AKC and found to be in compliance with AKC rules, regulations and policies.